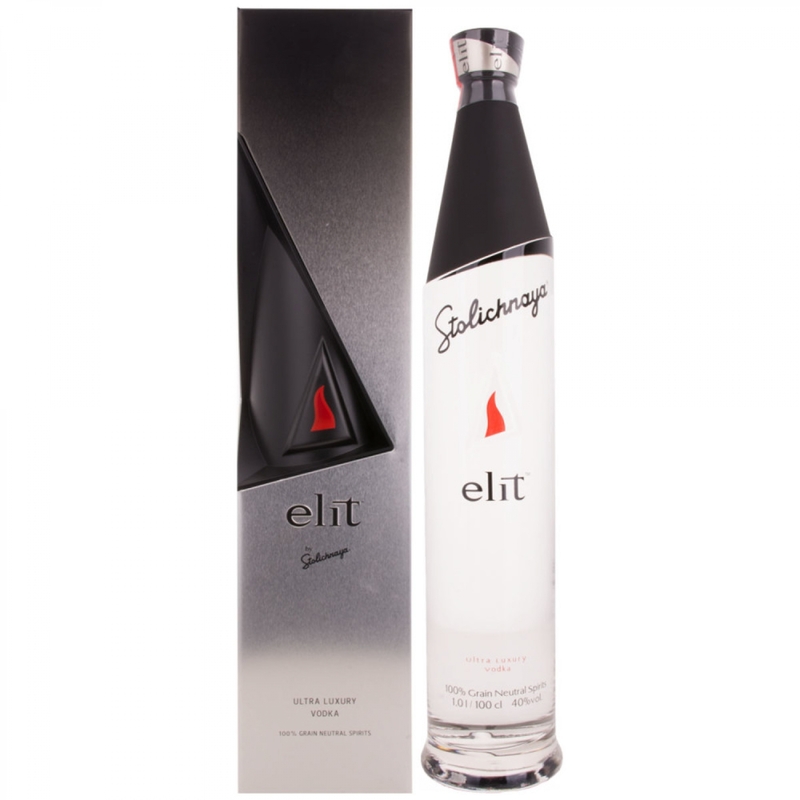 Stolichnaya Vodka ELIT Ultra Luxury Vodka GB 40% Vol. 40,00 % 1 l.
Buy now this product together with Grey Goose L'Orange Vodka 40,00 % 0.7 l.
Grey Goose L'Orange Vodka 40,00 % 0.7 l.
ready for shipment: in 7-10 days Grey Goose L'Orange Vodka 40,00 % 0.7 l.
Royal Dragon Superior Vodka Elite 40,00 % 0.7 l. 40,10 EUR / 57,29 €/lt. Russian Standard Cloisonné Edition 40% Vol. 40,00 % 1 l. 38,10 EUR / 38,10 €/lt. Trojka Vodka Devil 33 % 70 cl. 28,35 EUR / 40,50 €/lt. Smirnoff Vodka Red Label 37,5% Vol. 37,50 % 0.7 l. 20,25 EUR / 28,93 €/lt. Sierra Tequila Antiguo Anejo 40,00 % 0.7 l. 34,85 EUR / 49,79 €/lt. Tekirdag Rakisi 45,00 % 0.7 l. 31,40 EUR / 44,86 €/lt. Olmeca Altos Plata Tequila 100% Agave 38,00 % 0.7 l. 40,75 EUR / 58,21 €/lt. Eristoff Vodka Rot 20,00 % 2 l. 45,85 EUR / 22,93 €/lt.